The Window Gallery of Atelier of Lyttleton Stores Cooperative is a small, pretty as a picture public-facing gallery. We exhibit an artist or artisan's work with an opening night on the first Saturday of every month, from 6pm to 7:30pm. Join us in toasting this work and the spirited culture of the Blue Mountains with organic alcoholic and nonalcoholic beverages and appetizers made in house. KSCA, or the Kandos School of Cultural Adaptation, was formed in early 2016 by a group of artists, writers and activists so as to pursue the idea of art as an activity that brings about cultural change. Much of KSCA’s work revolves around the post-industrial town of Kandos (about an hour-and-a-half northwest of the Blue Mountains), in Wiradjuri country. However its members come from many places, and its projects bridge regional, rural and urban Australia. 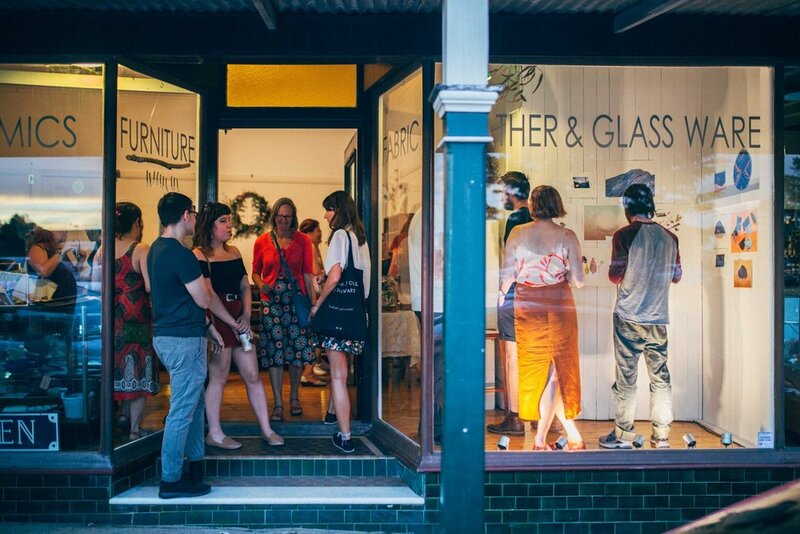 KSCA’s projects include ‘An Artist, a Farmer and a Scientist Walk Into a Bar’ and ‘The Hemp Initiative’, both of which will be showcased within the Window Gallery and Atelier of Lyttleton Stores Cooperative this April through Imogen, Georgina, Lucas, Gilbert, Jono and Laura and Diego’s works. Join us at 6pm on Saturday the 6th of April to toast our artists’ work. Kevina-Jo Smith, Stephanie Simcox, Pip Bishop, Jessica Allison, Stephen Travers, Matilda Julian, Caitlin She, Freedom Wilson (of Laughing Bird Studio), Anne Crestani and Rachel Hannan, Nick McKinlay, Tania Bowers, Ona Janzen and Edith Pass (of Floral Ink), Hannah Bath, Chris Carmody and Eloise Maree.